It isn’t easy to part with furniture, antiques, collectibles and other inherited family heirlooms. That’s OK unless your sentimentality has maxed out your basement storage or required long-term rental of an off-site storage unit. You would think it would be simple to let these family pieces go when they don’t fit in our space or match our decor, but it’s not. 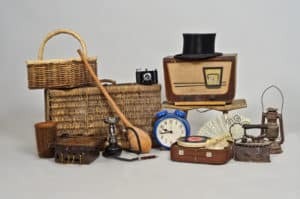 How do we detach from these items that once belonged to a loved one or have been in the family for years without feeling guilty? First of all, I doubt your loved ones would want you to feel this way about their stuff. Cherish your memories, let go of the stuff. Once you are ready to downsize, select the most meaningful/usable pieces for your home. Don’t banish them to the basement or a storage unit. Ask family members if they could use the pieces you’re unable to incorporate into your life. If not, bless others with the items. Support your favorite charity with your donations. Nonprofit organizations will be thrilled to have suitable items for their next silent-auction fundraiser. Perhaps a historical society would be interested in some pieces. If you decide to sell some items, perform an internet search or contact an appraiser to help you determine a fair price. Keep in mind, your things may be priceless to you but will only sell if there are interested buyers. Before saving family heirlooms for your children, confirm they are serious about taking possession. Don’t burden them with items they don’t like or don’t have space for just because the stuff “should” stay in the family. If you’ve been through the downsizing process share your comments or suggestions below.